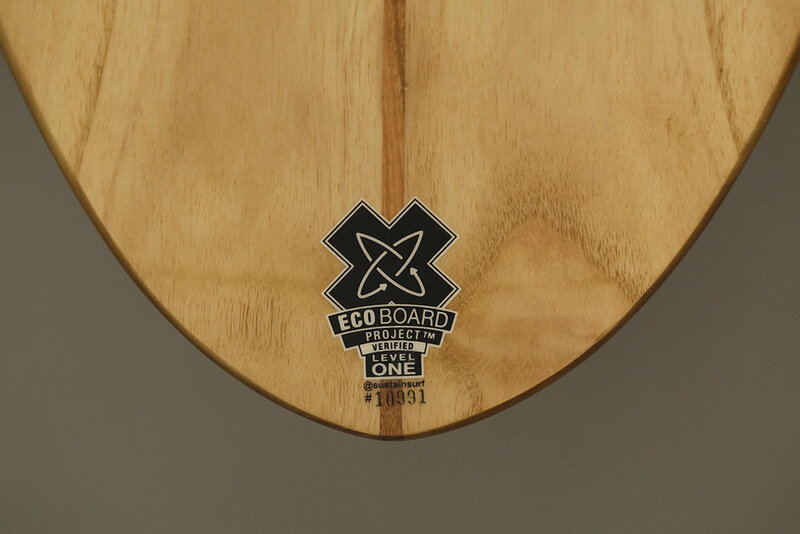 This surfboard is made out of Paulownia - sourced from sustainably managed and certified (FSC / PEFC) forests. 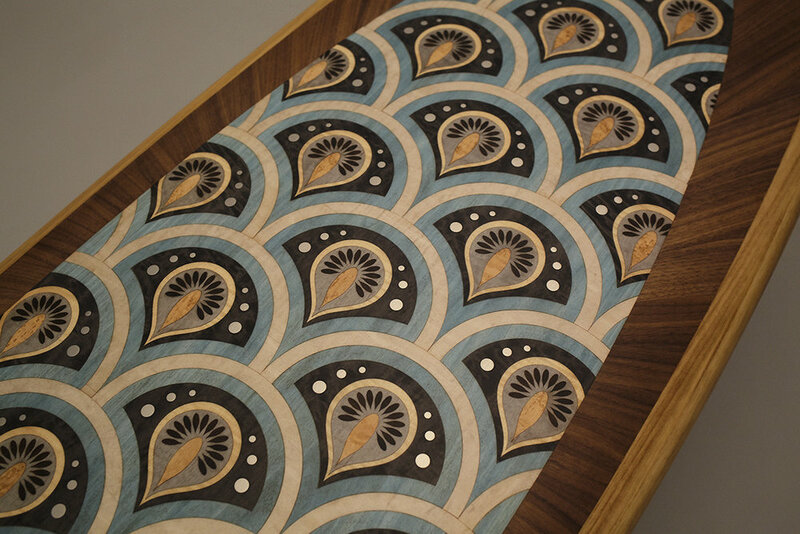 The deck features marquetry incorporating stainless steel inlay and a combination of natural and dyed veneers including American Walnut, Ripple Sycamore, Fumed Figured Eucalyptus, Dyed Figured Anegre, Dyed American Tulip and Birds Eye Maple. 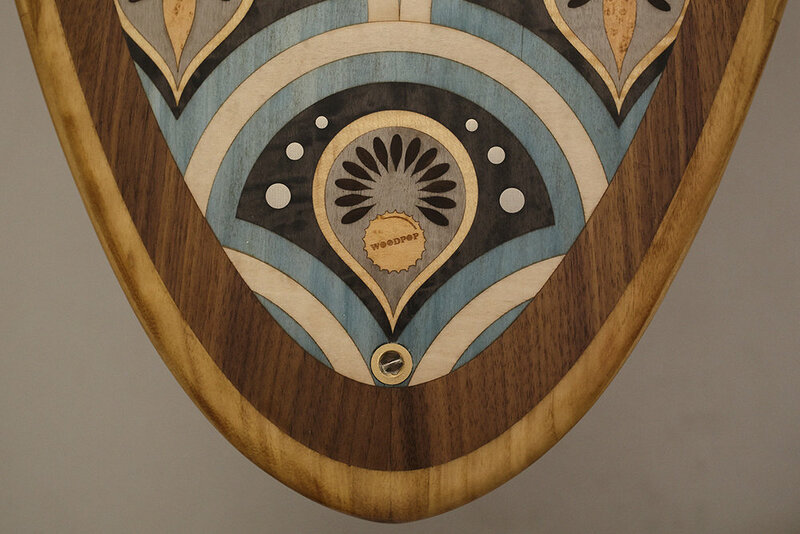 The board was shaped in Cornwall by Paul Reisberg of Arbo Surfboards ensuring that it offers maximum performance in the water.